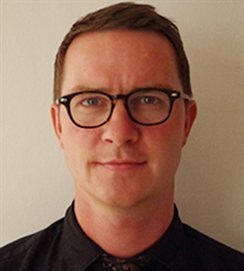 Aidan McGarry, Principal Lecturer in Politics in the School of Applied Social Science has been successful in his AHRC bid “The Aesthetics of Protest”. Recent years have seen a large increase in the number of protests around the world which have challenged economic institutions and political practices, including the Arab Spring, Occupy movements, pro-democracy movements in Hong Kong, and anti-austerity movements across Europe. This project focuses on the recent protests in Turkey. The Gezi Park demonstrations in Istanbul in 2013 began with opposition to development plans for the park – and ended with 11 people being killed and 8,000 injured after sit-in demonstrators were evicted. With mainstream media being suppressed, protestors turned to social media. This project examines the aesthetics of protest, in particular, how protestors use social media to communicate their messages to the public and how they attempt to engage the public, politicians and fellow protestors. Tagged aesthetics of protest, AHRC, anti-austerity movements, Arts and Humanities Research Council, Gezi Park demonstrations, pro-democracy movements. Bookmark the permalink.